I had to ban Four Loko from my apartment circa 2010 after some friends made complete fools of themselves during a daytime party. Thankfully, the manufacturer has since changed its recipe to remove caffeine, taurine, and guarana, generally rendering its behavioral effects less horrifying. But now there’s another seemingly innocuous alcoholic beverage that’s being dubbed “the new Four Loko”: Capriccio Bubbly Sangria. 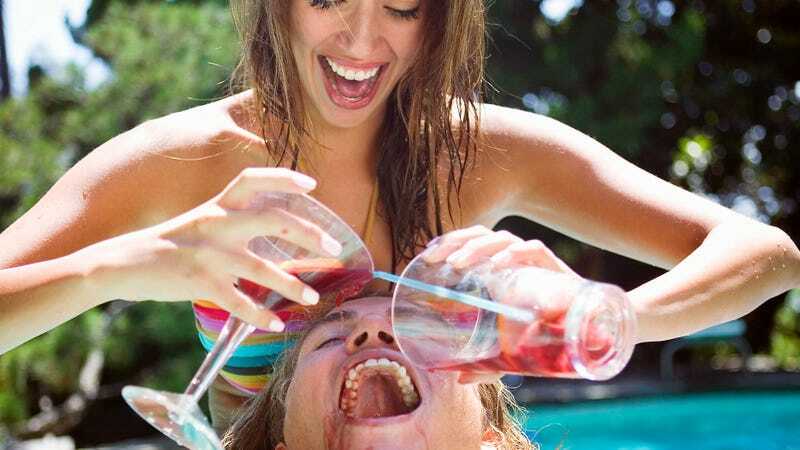 Men’s Health reports social media is full of accounts from people who got very, very drunk after consuming Capriccio Bubbly Sangria, with many reporting they blacked out. (One drinker said she woke up the next morning on the kitchen floor with a chicken tender in her hand—hey, a chicken tender in the hand is worth two in the... I don’t know.) Twitter is now rife with people all over the country trying to get their hands on Capriccio to test its potency for themselves. It’s widely available, with distribution at some World Market, Sam’s Club, and Total Wine stores. So yes, if you fed me four glasses of high-octane cabernet sauvignon in about a 90-minute time frame, I would also likely black out and end up on the floor with a chicken wing. Moral of the story: Read labels, check alcohol content, pace yourself, drink water.